Memory Foam Mattresses: Forget the "Sleeps Hot" Issue! The leading brand of memory foam (that spends millions on advertising and has the initials “TP”) is what is driving the “memory foam sleeps hot” myth. That is because in the early days of memory foam, TP did sleep hot. In fact, most of their models still do. (They finally do have a “cooling” line of mattresses now.) Since TP is the leading brand and a household name, its early reputation for sleeping hot has lingered over the whole industry. Every single day, I talk to people about the concern that memory foam will be too hot for them. Some brands may be, but the Healthy Foundations 10″ Memory Foam Mattress (or our memory foam toppers) doesn’t sleep hot. In fact, less than 1/2 of 1% of our returns are for heat. It simply is not an issue with this memory foam. But why not? Our memory foam mattress is made with an open cell construction that increase air flow 95% over traditional memory foam and wicks away heat and moisture three times faster than traditional memory foam. In addition, the entire mattress is covered in CoolMax®, an Invista fabric used to wick away heat and moisture. Even the base foams are designed to allow air to circulate. Bottom line: The Healthy Foundations 10″ Memory Foam Mattress doesn’t sleep hot. Some other memory foam mattress still do sleep hot, but this one does not. So next time someone tells you that memory foam “sleeps hot,” you might want to shed some light on their dated misconception. While you’re at it, remind them that their eyes won’t get stuck that way too! 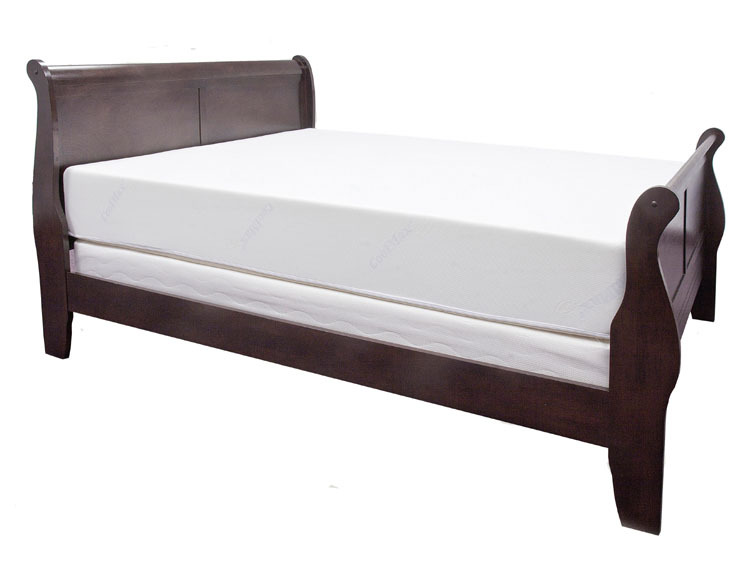 Next Next post: Memory Foam Mattress Firmness: Soft, Firm, or Somewhere In Between?